If you want to introduce a new product or service successfully in the market, remember to prepare a good PR and marketing strategy. The faster you do it, the better sales results you will achieve. The new product has to stand out among others and arise emotions in customers. When your offer is visible in the market, your company can gain much more. We prepare and supervise the realization of complex media campaigns. Together with our partners from the capital group we obtain the best terms and conditions for the media purchase and guarantee the optimization of the media plan realization. The actions that we plan are effectively if it comes about costs as well as time. Just ask and find out what we can suggest to your company! We have partners in many different countries. Our clients have PR support and can develop their marketing communication all over the world without a problem. Additionaly, thanks to the cooperation with the teams from abroad we learn about the world PR trends and practices which we use in planning and realizing activities for our international partners. Our team has worked on very demanding projects connected with crisis management including death in the workplaces, road accidents, court disputes, media disputes, death of a child in the factory area, pollution in the production lines, defective constructions, cooperation with the local community on big developer investments and many many others. 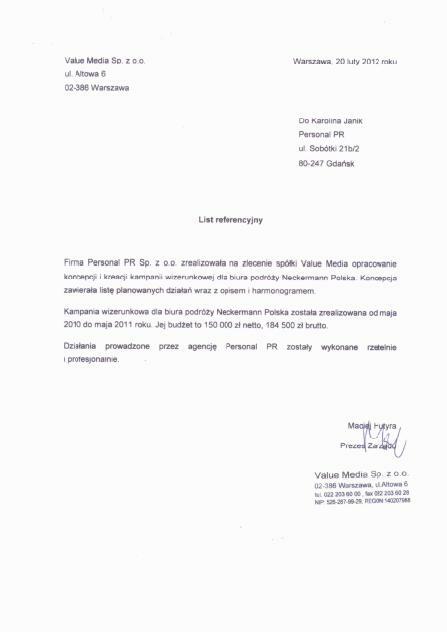 PR is selling - we believe that and we even have proofs. Contact our agency and see how PR activities may support your business goals. The choice of company that you work with is conditioned by many trifles and nuances. The sensitivity to the details, ability to show the uniqueness of solutions and their appropriate presentation affect the fast increase of the brand awareness on the market many times. The project that is well-presented on the market is most likely to have been already sold unless it is worse than its presentation :) The characteristic feature of startup is that this business has its own rules. If you wnat to know them, contact our team. We realize communication strategies for companies and organisations of different size. In our portfolio you can find strategies prepared for energy, IT, marketing, luxury goods, FMCG, finance, clothes, startup, investment and creative sectors. We are glad that we can observe the realization of our solutions. We feel even better when we implement our idead in life. Ask how we see the work on your project! To act in Social Media you have to know which tools are available on the market, understand your target groups and create the appropriate content. We run effective campaigns in Social Media and each year during Social Media Convent we present together with our partners the newest Social Media practices. Good and regular media relations are the basis of effective PR. We give journalists valuable, inspiring and high content materials about our clients. Our advantage over the market competitors results directly from the high quality of work and reliable contact with the media. Our materials are published in various Polish national, local and brand media. Blogging is a very significant part of every PR campaign. The individual approach to the clients lets us save time and makes we lead our actions in a very effective way. Boggers do not have to use pre-specified solutions. We cooperate only with these who can fully engage in their work. The conditions of cooperation are always attractive and profitable for both sides. We believe that your product is unique, but we would like your customers believe that, too. We organize consumer-oriented actions which aim at building your brand awareness among clients. We have experience in introducing products to the market, refreshing their images and communicating the news. We also realize cross-media campaigns which promote the results of the consumer tests. PR activities in the Internet have positive effects on the image-building process, positioning of company/brand/product/service in the Internet as well as increasing awareness of their existence in the target groups. We run online activities that communicate content that is important for you. We monitor press, radio, TV, social media, blogs and other electronic publications. Thanks to this we can effectively communicate your company services, control possible reasons for the crisis and present some appropriate preventive measures. We also specialise in monitoring of particular business lines or competitions. Our clients are provided with the news about changes on the market alll the time. Good fun is a significant factor that can engage fans in the life of your brand. We oraganize consument contests and contests in social media thanks to which we pay attention to the offer and build emotional bonds between clients and the brand. Some words are more valuable than others, some just do not fit the context - we take care that the words of our clients are clear, precise and interesting. We prepare and consult content that is put on the websites, included in advertising materials, commercial offers, presentations and company publications. We also work on advertising and promotional slogans. We create the offer of word-of-mouth marketing and viral on the basis of briefs filled in individually by our clients. Don't hesitate to contact us. We provide complex services connected with the visual identification i.e. Key Visual, Corporate, Brand and Design Identity. 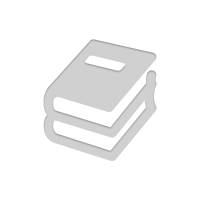 We prepare the books of visual identification and projects of the company materials. We work with the best specialists on the market, talented graphic designers and designers with really rich portfolios. We organize the openings of shops, offices, commercial buildings. We prepare open days and conferences. We provide professional and complex support of the whole event. We provide services connected with the evaluation of the current situation of company, organisation and institution based on quality, intensivity and effectiveness of communication activities. The audit takes place at several levels: management, manager and employee. Its results include the evaluation of actions and recommendations on particular communication channels and grounds for it. Internal communication guarantees harmony for the company development and minimalizes the risk of internal crisises. We manage information and distribute it among all levels of the organisation. We use tools which fit the specificity of a particular company. We effectively work in Social Media. We build operation strategies, create content and engagement. We treat all projects individually and to each of them we choose the best communication channels. We are active in such social services as Facebook, Twitter, Instagram, Pinterest, Foursquare and NK. International, Polish and local brands trust us. We prepare all kinds of internal and external publications. We create newsletters to our clients, partners and other subscribers i.e. company or product bulletins, company and corporate newspapers, mailing with offers and occasional publications. If you want to have contact with your target group all the time, ask us about our offer! We are full of interesting ideas about product, brand and service communication. Our clients realize with us the projects connected with introducing new products to the market, promotions, concepts of some special public endorsements or actions that support live events. The studies have shown that we like to listen to experts. Our clients have both knowledge and rich experience in the field they work in. Our actions focus on giving them an opportunity to talk in the key media. Expert articles build not only a positive image of the representative, but also affect the credibility of the whole company. Expert articles are published in the traditional and electronic media on a one-off or cyclic basis. An interesting, coherent and logical presentation with a good graphic frame is the significant element of successful public endorsement or sales pitch. We help our clients to prepare concepts of such presentations and then we adjust the content, graphics and programme in which they will be done. We practise presentations before the meeting and support our clients during the endorsement. We offer complex services including creating websites and blogs. We create technical, functional and content layouts, supervise programming process, provide the content, make tests and let the website for clients. We run CSM management courses and offer updating the page. If you want to know any details, don't hesitate and contact us. The quality and appeal of materials that the company use to communicate its offer is very important. We analyze the existing materials and recommend some adjustments. Thanks to trusted partners we can also realize the order of advertising gadgets and printing of promotional materials. The projects that we suggest are harmonious with the image communication of our client's offer. We plan and realize advetising campaigns in Social Media. 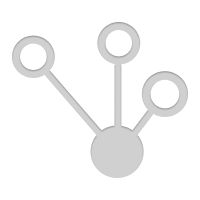 We use the optimization tools to reach a particular target group. We create catchy graphics and copywriting that supports the message and positively affects the advertising effectiveness. ICT and innovation are two sectors that have been with us from the beginning of our agency. We have achieved in these fields great results. We successfully support technological companies (producers of software and IT solutions) which want to reach their customers via PR activity. To make your customers interested in your premises or region you have to be visible in the media all the time. We have long standing experience in preparing PR activities for HoReCa sector - for hotels, boarding houses, developers, equipment producers, restaurants, clubs, cafes and postindustrial investors. We work for many various companies and we promote Polish premises abroad and vice versa. 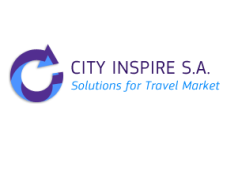 Would you like to have an influence on the current trends in tourism? Or perhaps you want to promote some interesting premises or tourist regions? Personal PR is a perfect agency for you. We prepare and realize promotion strategies for various regions, provinces, towns and cities in Poland and abroad. We also support the information campaigns of districts and communes. We are fascinated by new destinations. Competition in logistics takes place at many different levels. We prepare for your company a unique communication strategy and we will show you the PR tools which are essential for creating an effective relation with your carrier or operational team. You will be given solutions which will support your sales and help you with the realisation of your business goals. Regular publications in the brand and business media will emphasis the value of your activity in the market. PR is a perfect example how you can build the awareness of cosmetic products or services among customers. We have already prepared many interestig product and personal PR strategies for clients from the helath and beauty sectors. We have our permanent place in the media, we realize custom marketing campaigns, have profiles in Social Media and deal with the promotion and information campaigns and CSR. We work not only for clinics and doctor offices, but also for producers of medicine and cosmetics. Our experts connect standard PR activities with advertising campaigns in the media. We cooperate with bloggers, test products among opinion leaders and prepare some visual identification as well as promotional materials. We work for research institutes, beauty clinics, medicinal clinics, hospitals, beauty salons, fitness studios and many others. Any apartment sales or investments in a new area are communication challenges. Let your customers get to know why your building is unique. You should build the image of a trustworthy reliable developer and create some relations with the local society so that people may understand your needs and start to trust your manager. A good communication strategy is the key to profitable investments and very often it is also a solution to the crisis situation. We have long standing experience in supporting many startups in Polish and foreign market, especially in the USA. 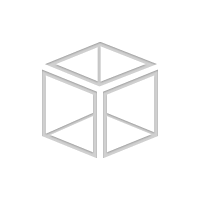 We build the image of projects to help inventors find some investors. We help startups to be visible in the market in their key development moments. Our company uses custom low-budget tools and reliable PR techniques. We are mentors and consultants. We support our clients' projects with our experience and skills. The unique character of your business requires a special communication strategy, close media relations and real sensitivity to the individual needs of customers. Among our clients we have companies which offer luxury products and services. Together with our partners we prepare for them special events, build relations with bloggers and take care of appropriate pro-selling campaigns. Parents are very sensitive to the product communication directed to the youngest. For many years we have been supporting our clients who offer a wide range of products for children such as clothes, accessories, food, baby carriages, walkers, textiles and cosmetics. We have a very individual approach to evey case. We use strategies based on the contact with the media, trendsetters and opinion leaders who function in the parenting environment. In the automotive industry we help our clients reach customers who are interested in their car brands, accessories or complex offers of their service. We have worked with various companies that sell luxurious cars, for exmaple Ferrari, Lexus, Jaguar, Maserati, Audi, BMW, Lamborghini and others. We create concepts and campaigns for the candidates for senators and Parliament Members as well as political parties. We run courses during which we explain how campaign teams may use Social Media. We advise how to speak to gain your voters' attention. We have worked with companies connected with the energy industry for many years. For a few of them we have built marketing communication strategies, for others, for exmaple these financed by European fund, we have created PR schemes. We know the power industry market very well and we know what we may expect in the future. We give our clients solutions created in accordance with the international standards. Due to the increasing responsibility that people take for the surrounding world, more and more companies pay attention to the environment in which they function. They take care of corporate responsibility, ecology and the environmental protection. Our team has organized and run many eco campaigns so far. The priority has always been the protection of the environment. The communication strategies with the eco element, which we prepare, combine the approach of responsible business and aim at resulting the best economical result. We are aware of the corporate social responsibility. We have participated in many CSR programmes created by big companies, corporations, non-governmental organisations or public benefit institutions. We know how to plan CSR activity so that you will have a loyal and understanding team and you will realize your business purposes. Bank products, finance services, brand creation, crisis communication - these are the most common issues that our clients are concerned with. We deal with financial consulting and prepare promotional materials for bank accounts, credits as well as insurances and brand experts. To build the good employer brand we have to work in many fields. We plan and implement programmes connected with the image recovery or creation of the positive company image for which the relations with former and current employees are very important. We use effective tools which let our clients achieve their goals in short time. The aim of our activities is to make people aware of the work of scientific institutions as well as scientists themselves. We have experience in popularization of scientific actions and promotion of the inventors' works. PR is one of our specializations. The campaigns that we have realized give us important knowledge about marketing and promotion of place i.e. towns, cities, countries or some particular tourist locations for example hotels, pensions, apart hotels or individual apartments. We can make people get interested in any place. Do not hesitate and ask us even today, how we will do it! The solid and complex audit of the initial situation of company marketing communication is the basis for the further success of brand. Individual interviews or group workshops are the perfect way of confronting the views on brand among customers, employees and managers. The communication audit in the company guarantees that your money has been well spent. Research and experience show that we achieve better effects when we plan our work, tasks and the milestones of projects. We use knowledge of project management as well as strategical planning to prepare PR strategies with detailed schedules and control points of the achieved aims. The stage of PR project realization are the outcome of initial communication situation of the company and well-planned PR activities. We pay particular attention to the way we realize the tasks given to us by our customers. The business success of our client depends on inventiveness and accuracy of the project. We are glad that our clients have worked with us for so many years! We have long standing experience in organizing different trainings and workshops connected with public appearances. We will tell you how to present yourself in the brand conference and answer to some diffuclt questions in front of the camera when your company comes up with the crisis situation. Are you stressed? Nervous? We know how to overcome these anxious feelings. Your listeners will become your friends and at the end you will feel that you have done a great job. Social Media are present nowadays in every aspect of our life, however, it does not necessary mean that running a social profile of your company or brand is an easy task to do. We will show you how the content marketing works. We create such Social Media strategies that work in accordance with the Essentials of the Law. We also organize training courses for individuals, institutions and companies. Sales through Social Media is something natural now and people, who know how to do it, will gain the most. During our trainng courses we build strategies that help companies in their sales process in Social Media. We also create Customer Service Centres, prepare market analysis and suggest how to turn users into customers. Consuments select information. We will show you the best way of reaching your target groups and tell you which tools you should use and how often, to make your customers remember your brand. The content that you use in your marketing communicaton should be interesting, inspiring, fresh and memorable. During the workshops we will tell you how to build, manage and update information that is proper for your strategy. Content marketing means, after all, creating valuable relations with your customers. Everyone, sooner or later, meets the crisis on their way to success, and regardless of the type of business activity you will have to undertake some steps to overcome it. We will create for you the crisis response procedures and tell your team how to manage the crisis and monitor the most dangerous points. More than 60% of crisises result from the employees' activity. Thanks to the knowledge that you will gain during our training course, you will minimalize this risk in your company. Media have their own world. If you know how to catch journalists' attention and act according to the editorial office rules, there is a big chance that the interest in your company will soon increase. We will show you how to use theoretical knowledge about media relations in practice. You will see how editorial offices work and get to know the difference in the way you should contact each of them. After the course you will be able to write a correct press release and take deliberate actions to gain as many publications as you want. You have an idea for a blog? Or maybe you write interesting texts but you never publish anything regularly? We will tell you how to write posts that will catch your readers' attention, extend the scope of your blog readers and use SEO. You will see how to earn money from your content and cooperate with other bloggers. Thank to our help you can increase the effectiveness of your activity on Facebook and you will be able to control it better. We can join building of content with effective advertisig. We will show you how to place the advertisement and how to fulfill the target group expectations. We offer practical work with the experienced team. If you run an E-commerce business and you wonder whether you use every possible forms of low-budget communication, you have just found a right place for you. If you want to know the opinions of our experts who have been giving advice about activity monetisation and increasing income for several years, aks for our offer. If you want to be effective in Social Media, carefully prepare your communication strategy and the content you will use. There is not a universal strategy, so you should consider all stages of your plan, estimate available resources, competence and the possible level of the team engagement. With pleasure we will show you practical materials that facilitate creating and realizing the brand presence in the media. Brand building is a process. During the course in our agnecy you will find out how to build a brand, increase its value and which tools use in the brand development. We have long-lasting experience in building brands in the FMCG, energy, health, finance and investment sectors. We can advise you how to build schedules and supervise the whole brand building process. During the curse we will tell you which elements are included in inbound marketing and which rules about it you should know. We will also answer to any questions connected with the enagement of users in marketing activities and their loyalty to the brand. The knowledge about inbound marketing will make you look at the process of acquiring new clients and traditional advertising from a different perspective. Social Media should be consistent with the business in which your company functions. On the basis of analysis and practical experiece we will tell you how to build content on the profiles, how often you should update it, what your clients expect and how to create loyalty. We specialize in running profiles for the companies from FMCG, finance, energy, HoReCa, place and cities, developer and clothes sectors. You have knowledge and experience, but you do not know how to develop your business? We know how to change it. During the course we will tell you how to share your knowledge so that your target group will notice you, and which Social Media channels you should choose and what you should do with them. 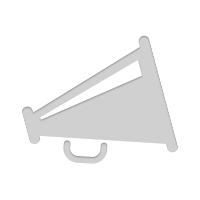 What is more, we will practise with you public endorsements and run some presentations. We will analyze your personal image. The work can be much easier when you use appropriate tools. We will give you some practical hints on the choice of tools which are free and which you have to pay for. You will know which tools are essential in PR and which ones you can use on the daily basis.We will tell you how to plan a strategy and work so that your clients will be pleased. We will also discuss writing and speaking skills that every PR specialist should have. Twitter is a medium with a really big potential. We use it to build business relations and we tell our clients how to use it in their marketing communication. 140 signs are enough to say why your business is special and to start searching for some business partners abroad. Personal PR provides professional complex communication services with the use of new media. 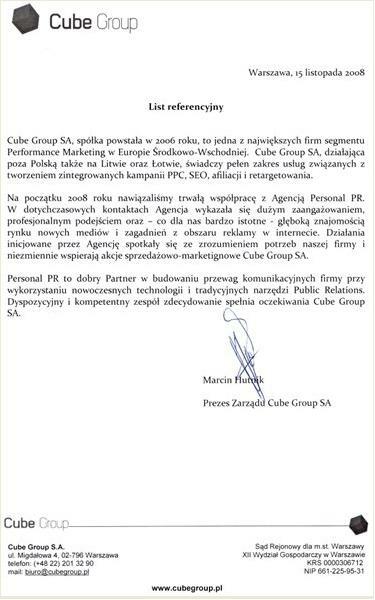 We are the biggest PR agency in Northern Poland. 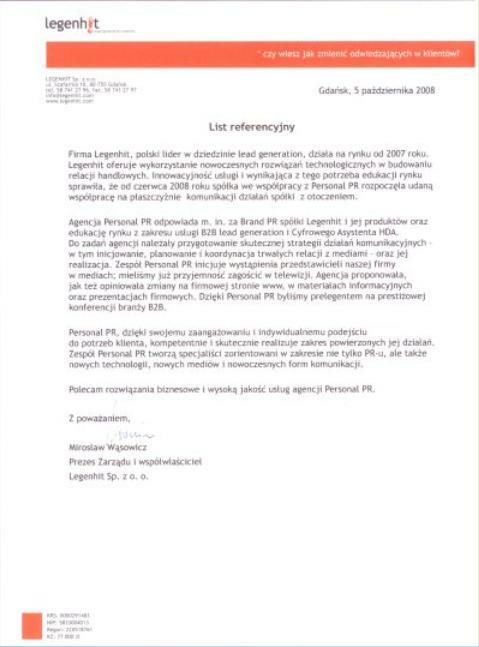 Personal PR is a full service PR agency with headquartes in Gdańsk. 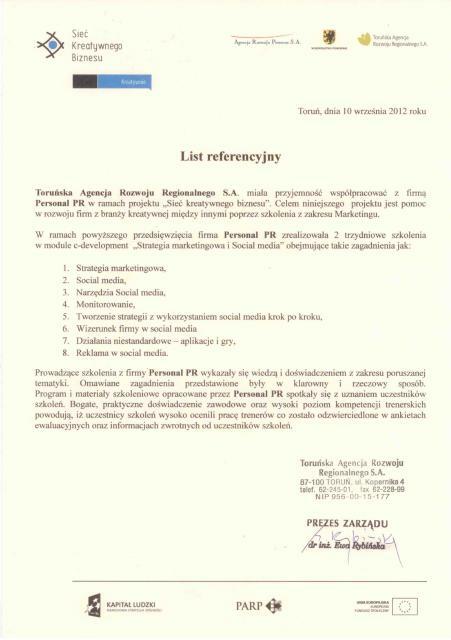 We are the biggest PR & Marketing agency in Northern Poland. We provide complex communication solutions that help our customers and partners realize their image and business goals. Our clients come mainly from ICT, energy, FMCG, finance, health, lifestyle, HoReCa, real estate, logistics and legal service sectors. We also work for non-governmental organizations and public benefit institutions. 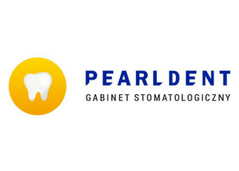 Our services are appreciated by local companies and global brands that operate in Poland. We believe that good PR and marketing strategies are the key to develop relations with the target group and expand the scope of every business. Thanks to that our clients can develop international relationships with foreign companies and communicate with people from all over the world. Personal PR stands also behind the idea of Social Media Convent – one of the biggest Social Media events in Poland which takes place in Gdańsk every year. Passion and commitment - these two words definitely describe our team. Nothing can give you more satisfaction than work which is at the same time your pleasure. We love what we do. In our team there are experienced specialists from various fields who successfully support our clients in achieving their business goals. Close cooperation and respect among our team members make the exchange of opinions and experience very easy and natural. We have open minds and we like talking with our customers and partners. Nothing is more educational than a valuable discussion. We share thoughts, knowledge and experience, and then we use it to improve our projects. Networking is very important in PR. We meet new people every day. As soon as we start cooperation with the client, our team has in mind a precise marketing strategy that will be used. Projects, which we create, are flexible and they easily adapt to the changining conditions in the market. They have high standards and clearly show which actions are taken at which time. Thanks to the milestone schedule we provide our customers with an estimated timeline so that they know what exactly will be done and which challenges we will have to face in the future. Members of our team think in an unconventional way, work fast and achieve great results. The proof of that is the satisfaction of our clients who have worked with us for many years. 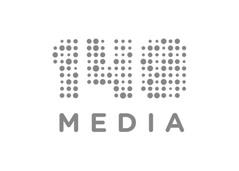 Our ideas and PR projects are appreciated by media houses, their clients and individual companies. When we build communication strategies that include PR and marketing activities we think OUT OF THE BOX. We make that the companies of our clients work better. Altogether we have over 36 years' experience in marketing and PR activities. We take part in many different training courses and we learn form the best. The knowledge of our team supports the realization of your company business goals. If you want to learn faste, gain some practical knowledge and useful abilities, do not hesitate and contact our PR team. We have worked out the set of effective tools that guarantee the success of your marketing communication activities. In our work we build and use relationship with partners and clients from different sectors. We know which solutions will be the best for your business and how to support your sales and marketing strategy! Personal PR is a free spirit. We do not rest on our laurels. We search, discover, inspire each other and study something new all the time. We are focused on our goals. We constantly follow the trends and suggest our clients such solutions which are appreciated by the key markets. Thanks to the international programme PR Exchange we are sure that our development means better business opportunities for our customers. We run many projects, but we always have time for our clients. Our original project management tools give us the flexibility in contact management and project realisation. We work efficiently. We organize regular meetings and conferences during which we exchange information about the needs and expectations of both sides. We provide services throughout whole Poland and now thanks to PR Exchange programme we can cooperate with PR agencies from all over the world. We do not work just to make your life more beautiful. We work to increase your company income and profits. We adjust marketing and PR activities to the sales plans and we precisely choose these activities that will bring notable benefits. We always present our cooperation concepts and effects that we want to achieve for your company. Tell us what is the most important for you and we will prepare the offer which will meet your expectations. The mission of our agency is to provide reliable information about our customers to the media, private and institutional investors as well as direct and indirect customers. Puncutality, dilligence, effectiveness are the basis of our work. We are glad that Personal PR meets customers' expectations. We meet our clients and talk about their PR needs. We prepare and realize proper communication strategies and with energy, transparency and passion we act on our client's behalf. We believe in the power of word and image. The value of constructive discussion and open dialogue is appreciated in every step of our work. Personalized marketing communication is more and more advanced. Marketers are looking for tools that will allow precise content targeting. Customers, however, more and more accustomed to the fact that the content is filtered based on their behaviour, become more demanding. They find ways to reject unwanted content and are able to ban brands that make mistakes. That is particularly seen in B2C communication. Event marketing is primarily used to build relationships with brand customers. The goal always remains the same - to create brand excitation and positive emotions and leave an indelible impression in the hearts and minds of the audience. Achieving true and lasting ties on the line client-product/company is becoming increasingly important as consumer demands have changed significantly and the good product itself is no longer enough. This fact is both a challenge and an opportunity for many companies. So let's answer a few basic questions. Today we will talk about public enorsements, their role in building communication strategies for companies or products and the basic rules of effective and interesting speaking. Are you ready? We are tempted to ask you the question what "communication" means to you. What comes to your mind first? Do most of you think about the means of transport or perhaps about the communication with the other world? Do trains, buses and trams win this battle? 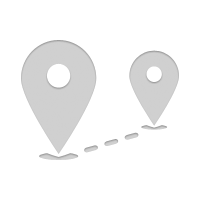 We all associate Foursquare with the smartphone application that enables us to check in different places. Unfortunately, in Poland it happnes very rarely that check-in brings users any profits or in any other way promotes the brand. 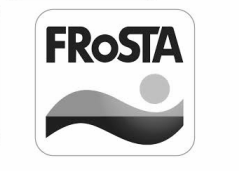 Frosta is one of the leading producers of frozen food in Poland, but its scope of business includes also foreign markets. The company offers a wide range of fish products, instant meals, sea fruits, vegetable mix, puff pastry products and many others. To raise their consumer satisfacion FROSTA focuses on the high quality of products. 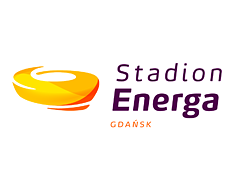 Energa is the main electricity supplier in Poland. Energa Innovations is the programme directed to innovators - mainly workers of small and medium enterprises, scientific and research institutions as well as students and employees from higher education facilities who have well-motivated innovative ideas. The innovations, which have been chosen, are implemented in a new offer of ENERGA Group and then made available to the clients. 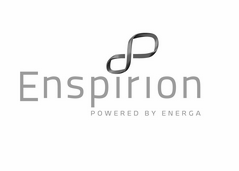 Enspirion belongs to the capital group ENERGA which is one of the leading producers and distributors of electric and thermal energy. The Group specializes in street lighting, designing, material providing, network construction, specialist transport as well as hotels and IT services. 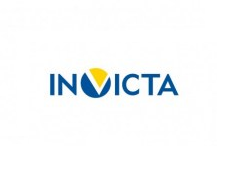 INVICTA is a private medical company with headquartes in Gdańsk Science and Technology Park. 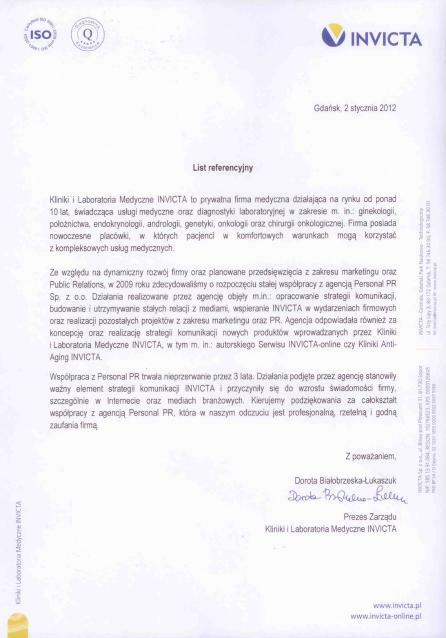 It has provided medical and diagnostical services in Polish market for more than 10 years. The company has a few modern comfortable clinics. It effectively combines scientific environment with business surrounding. 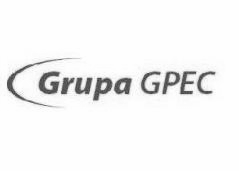 GPEC is the leader of heating industry in Pomerania Province. The company, apart from distribution, specializes also in production of thermal and electrical energy. The aim of companies consolidation is to build a strong competitive group in the electricity market. Thanks to the synergy effect GPEC Group is able to achieve even better results with even more intensive use of the market possibilities. 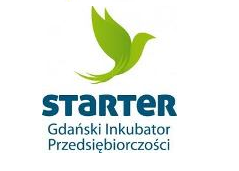 STARTER is a space, knowledge and networking. After all, it is a community. STARTER is a business incubator that helps young companies create their future. It makes it simplier and easier. STARTER increases chances for the success by creative and inspiring approach to work. Hotel Bristol was created to fulfil the needs of business people and ones who value the modern way of life. 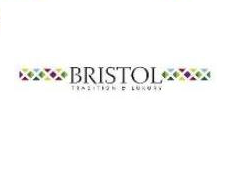 BRISTOL Tradition & Luxury is the perfect combination of contemporary design and comfort inspired by the regional style. It also provides the possibility of discovering delicious and original tastes of the Podkarpacie region cuisine. 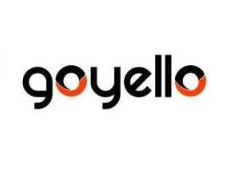 Goyello is a full service software solution provider with headquarters in the Netherlands and Poland. It designs flexible and effective IT solutions which are based on Scrum metodology. The company works for energetic concerns, financial corporations as well as service and production companies. 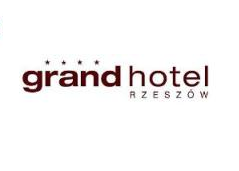 Grand Hotel Rzeszów is one of the most charming hotels in Rzeszów. The hotel is located in the centre of the city and surrounded by the graceful townhouses and historic landmarks of the Old Town. A high standard of excellence, antique exterior and chic contemporary interior make it really unique. Gdańsk Tourist Organisation is an association engaged in the tourist promotion of Gdańsk. It works closely with the local tourist industry and the government of Gdańsk District. GTO has over 120 members which are hotels, tour operators, travel agencies, restaurants and other businesses associated with the tourist industry. The principal member of the GTO is the City of Gdańsk. 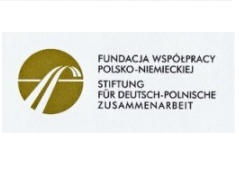 The Foundation for Polish-German Cooperation provides funds for Polish-German projects that are carried out by institutions from Poland or Germany. For 20 years the Foundation has supported more than ten thousand of bilateral projects. 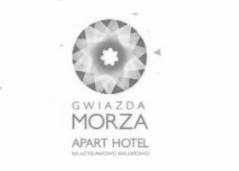 Hotel Gwiazda Morza consists of apartments located in the charming and prestiguous district of Władysławowo. The unique location near the beach and the fishing port makes it an incredible destination for people who look for the rest in an exclusive and modern place. 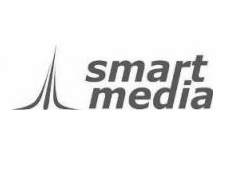 SmartMedia is one of Polish leading producers of specialist software used to manage property, payments and documents. The company was founded in Tricity. It is the fruit of passion and commitment of people who want to achieve the success. SuperHost is one of the hosting leaders in Poland. It offers a wide range of services for example the maintenace of websites and emails, creation of dedicated and virtual servers or the registration of domains. The heart of company are people who every day provide SuperHost's customers with the highest quality services. 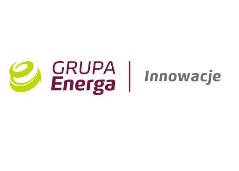 Nowa Energia is an authorized representative of one of the biggest Polish electric energy suppliers - DUON Group S.A. The company sells energy and optimizes the selling costs for business clients, including purchasing groups. Nowa Energia is an independent contractor in Polish market and its services can be an alternative for the big capital groups. BHP Hall is located in the post-industrial area once belonging to Gdańsk Shipyard, which was extensively renovated in 2006 and now is opened to the public as a conference and exhibition centre. The owner od BHP Hall is Independent Self-Governing Trade Union "Solidarity". 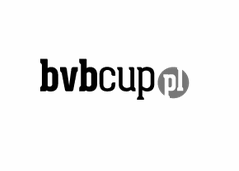 Startup Contest is a Polish national contest which connects investors with startups. The most innovative internet entrepreneurs can get co-financing for their projects and count on the help and support of mentors. LOVI with the cooperation with the top lactation, neonatology and neurology specialists creates innovative safe products for breastfeeding mothers and for babies that may be used as an alternative to breastfeeding. Gdańsk is the biggest administrative, research and cultural facility in Pomeranian Province. It is inhabited by more than 2,2 million people and according to the newest sociological surveys it is one of the most prosperous regions in Poland. Beach Volleyball Business Cup Sopot 2013 is the continuation of a well-known Pomeranian tournament that took place for the first time in Sopot in 2011. The idea is the promotion of employer image which results in the positive relations with employees and their engagement at work. These are the key elements of the company development and its competitive advantage. ICT Young 2013 is the third edition of the conference for students of electronics, telecommunication, IT, biomedical engineering and automation and robotics. Last year there were more than 120 students from all over Poland who were discussing, exchanging experience and inspired each other. The conference lasted 2 days. TED is a nonprofit organization devoted to Ideas Worth Spreading. Started as a four-day conference in California 26 years ago, TED has grown to support those world-changing ideas with multiple initiatives. There are two major TED events which are held each year. The first one is TED Conference that takes place every spring in Long Beach, California (along with a parallel conference, TEDActive, in Palm Springs), the second one is TEDGlobal - held each summer in Edinburgh, Scotland. Company MARION KOSMETYKI is a manufacturer and distributor of cosmetics for hair coloring and skin care. The firm was established in 1991. Its mission is to provide customers with the entire satisfaction of the beauty of their hair and skin. 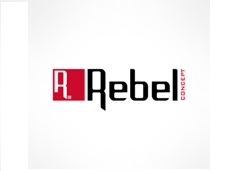 Rebel Concept is a team of energetic young and ambitious architects and graphic designers for whom architecture is more than work. The company creates modern architecture which suits the requirements of a particular place and time. You can find here also innovative designs created with the use of module technology. The brand ECCO comes from Denmark and has more than 3000 shops all over the world. It is an indisputable leader in the shoes market. It produces shoes and bags for men, women and children. Stokvis Tapes is the world leader in production of sellotapes and an independent provider of the best self-adhesive materials available in the market. The company has more than 25 shops in the whole world. They provide local technical support and customer service. KAZUR specializes in search marketing (SEO / SEM). The company does SEO audits, positioning audits, optimizes advertising campaigns in Google AdWords and runs training courses about website positioning. 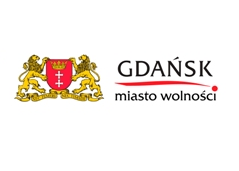 The organisation was founded by the Gdańsk City Council in response to the signals coming from the local market. 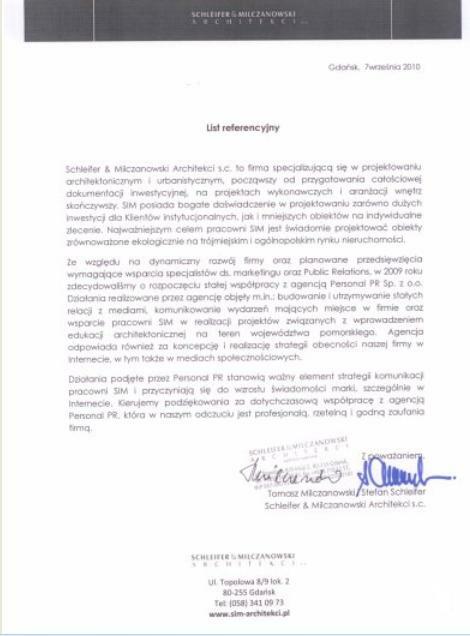 From that time, it has started to be one of the most important instruments supporting Small and Medium Enterprises in Gdańsk. The main goals are implemented by educational activity within the range of entrepreneurship, legal and economic consulting, supporting SMEs and promotion of entrepreneurship. BetterSolutions is a dynamic developing technological company which specializes in creating specialist software that support processes in production, logistic and distributive enterprises. INPROGRESS has been organizing professional project management trainings since 2007. The company provides consulting services and the implementation of project management best practices. It also specialises in Cabinet Office Best Management Practise. In addition, it offers training in the soft skills involved in project management, including team communication, team building, and motivating employees. 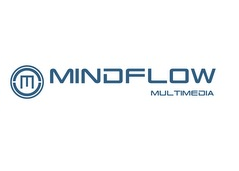 Mindflow Multimedia is an interactive agency which has functioned in the market for marketing and technological services since 2005. It provides dedicated e-marketing solutions including websites, promotions in the Internet, corporate portals and IT systems. KRJ Partner is a development company that has existed in the market since 2004. It realizes luxurious, modern and safe investments. Professional service, concentration on the cilents' needs and the high quality of houses and apartments are the basis of KJR Partner. Bioway was founded to promote the idea "you are what you eat". The first restaurant was opened in 2008 in Sopot. The mission of the company is encouraging consumers and producers to use ecological goods and active work to the benefit of the Fair Trade. NEO24.PL is an online shop founded in 2006. From the beginning it has been successfuly extending the offer to meet clients' needs. It has realized over 1 300 000 orders which makes it an unquestionable leader in the e-commerce field. Fido Intelligence is the team of scientists and businessmen whose aim is to improve complex communication processes among people, their companies and computers. The company members use their experience and wear scientific ideas with the physical appearance so that they can be used in commercial and public enterprises. InTENSO is a group of professional and experienced experts of IT who work hard on your success. The company specialises in creating dedicated IT solutions. It places emphasis on adjustment of the offer to their clients' requirements and market needs. Due to the effective work and efficiency of proposed solutions InTENSO has earned trust of their partners, which created close and long-standing partnership. 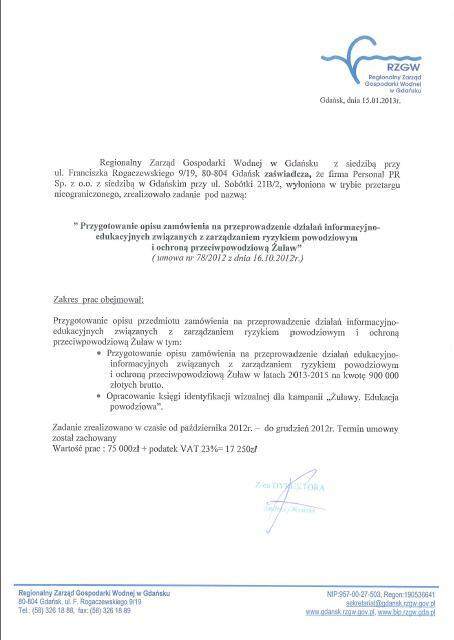 The main purpose of Regional Water Authority in Gdańsk is management of waters in the area of supervised watersheds so that citizens of Gdańsk have potable water of appropriate quality and quantity. The authority task is also protection of water from pollution, flood and drought as well as the administration of rivers and canals on behalf of the Treasury. TechnoBoard supports financially and give advice to people who have original ideas for new companies. Together with initiators of projects it creates new partnerships and support the most interesting ideas for e-business. During the whole preincubation period the company professionally prepares the project initatiors and their eterrprises to enter the market. The company Berendsen Textile Service is European leader in the textiles business. The company rents and provides work clothes, doormats and bathroom hygienic appliances. It is the only company in Poland that deals with washing in dust-free Cleanroom zone. FASADA INVESTMENT was founded in 1998. 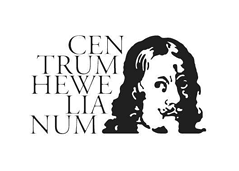 It was one of the first commercial law company in Podkarpackie Province. It realizes the most interesting investments in the province, for example Grand Hotel, Bristol Hotel and others. PRESTIGE is a luxury car salon founded in 2006 and one of the most recognizable brand in the industry. The company has in its offer new and pre-owned vehilces which come from the exclusive producers. New cars are ordered according to the wish of a client so that they may be unique and meet customer's taste and needs. DD Legal is a full service law office providing high quality legal, tax and consulting services for business entities. The company philosophy is based on the individual needs of clients and is implemented during the whole development process of a particular entity. The aim of the Foundation is to commemorate the activity of NSZZ "Solidarity". The Foundation propagates the idea of the workers rights protection, supports the activity of NSZZ, helps financially people injured in the martial law as well as takes care of other charity activities. Royal Apartments is the largest company specializing in renting apartments of high standard in Pomerania. It operates out of 72 apartments in Sopot and Gdansk Jelitkowo. Since 2008, it has been renting apartments with a high standard of cleanliness, equipment and guest service. In addition to accommodation services it also provides a number of additional services such as: breakfast, car rental, concierge services, 24/7 tourist information, supply of food in the apartment. The company specializes in the artistic painting of walls, interiors, exterior surfaces and cars. The techniques that are used include traditional one, artistic graffiti, 3D graffiti or airbrush pistols. The artistic painting is an original way of advertising, room decoration, change of the flat climate or tuning of a car. 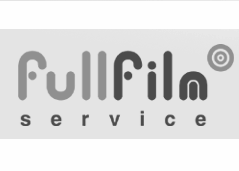 Full Film Service offers services connected with the production, promotion and sales of films. Many years of experience and own mechanisms successfully support all the phases of audiovisual work. The cooperation with international partners lets us use the techniques from all over the world. 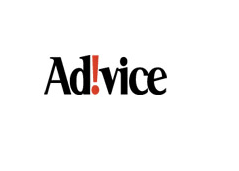 Ad!vice offers complex promotional services in the Internet such as graphic advertising, e-mail marketing, online interviews, online videos or viral marketing. 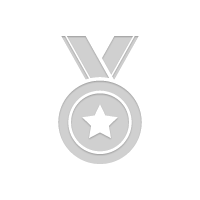 It specialises also in custom marketing including blogs, social media, contests, videos and sponsored posts. All in one click. 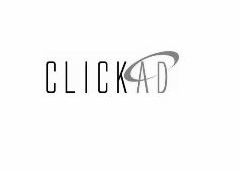 ClickAd specializes in complex online services. Thanks to the specialist activities and knowledge and experience of the team members the company helps their clients to maximize the trun of their investments. 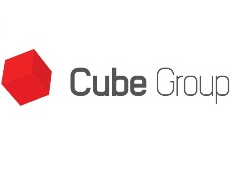 Cube Group is the company which concentrates on such a choice of media that brings clients the best marketing and financial results. The company creates products that meet all needs of clients and takes care of the campaign conception, its creation, the purchase of essential media, social media activity and affiliation. The goal of the National Bureau for Drug Prevention is the implementation and coordination of national policies on counteracting drug addiction directed at the reduction of narcotic drug and psychotropic substances use. The main documents determining the goals, tasks and the scope of operation for government administration and local government bodies in this respect are: the Act of 29 July 2005 on Counteracting Drug Addiction. 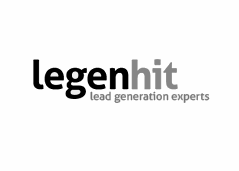 Legenhit supports direct sales departments, online marketing, telemarketing and use them to gain new customers. 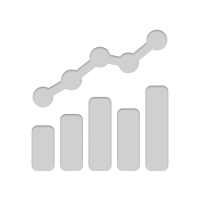 Raports about potential clients are based on the data connected with the traffic on the client's websites. The service helps to answer the question which company and when is interested in which product. Neckermann Poland belongs to one of the biggest tourist concerns in Europe – Thomas Cook Group plc that has 170-year-old tradition. The company has been present in Polish market for 16 years and all this time it has been one of the greates organizers of tourist trips abroad. Regional Development Agency in Toruń is one of the leading business-related institutions in Kujawy-Pomerania Province which was founded 18 years ago to realize tasks to the benefit of enterprise and innovation development in Kujawy-Pomerania Province. It is a partner of regional and local authority and it has an active influence on the regional economy development, its image and competitiveness of the region. 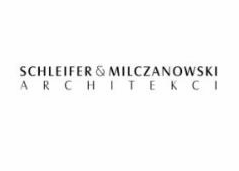 Schleifer & Milczanowski Architects specializes in architectural and urban desiging, complex preparation of investments and building supervision. The company prepares the investment documentation of building projects, detailed designs, technologies, conceptual studies and projects of interior building. The architects have a rich experience in designing big investments as well as individual ones. 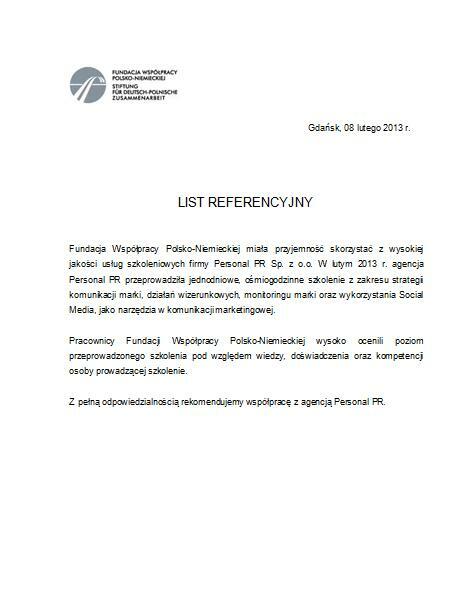 Polish Entrepreneurs Foundation (PEF) is a Szczecin-based organisation present on the market since 1997. 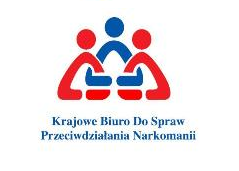 It is oriented towards provision of assistance in establishment and development of micro-, small and medium enterprises throughout Poland with a special emphasis placed on businesses from north-western Poland. The Foundation continues the operations carried out by Canada - Poland Entrepreneurs Foundation and offers Polish micro-, small and medium enterprises financial and training/advisory assistance. encja.com is focused on the needs of people who work in business and administration sectors. The company checks the possibilities of improvement, integration and value added services. It designs and introduces innovative individual systems and applications as well as products that can be used immediately after buying. JDF Cafe is the operator of Mergeto.pl Platform and it realizes projects for 8.2. It supports electronic B2B 8. business and increases the management innovation of the Operational Program Innovative Economy, 2007-2013. 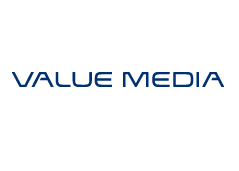 Value Media is an independent media house offering complex services connected with the media purchase. The company uses the knowledge of affiliate specialists, user experience, analytics and SEM to create optimal solutions that increase the sales conversion. Venture Incubator invests in innovative projects that have just started their career in the market (start-up, seed) of the Internet/software. It helps the projects to achieve the success in Polish and global markets as well as to find partners or financial and strategical investors. 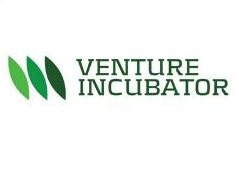 Venture Incubator S.A. looks for the projects with global potential which are characterized by a high rate of return. 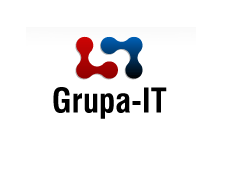 IT Group support "technically" its business partners and help its clients to keep their positions of the market leaders in e-commerce. 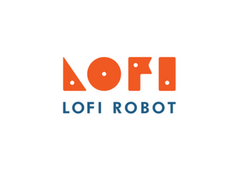 The company consists of specialists determined to take up any tasks connected with informatization, creating the Internet image, programming, creating online applications, website graphics, flash animation or DTP graphics. The company specializes in designing, marketing, clothes distribution as well as securing franchising shops, visualisation and appropriate sales spatial development. Etos S.A. is the owner of clothes brands: Diverse and COALITION. trojmiasto.pl is a regional portal that presents news, sport, cultural as well as entertainment events in Tricity and runs a catalogue with companies that are located there. The service was founded in 1998 and just from the beginning it has becme really popular in the Internet. The numer of regular users is now over 170 000 and it is stil growing. 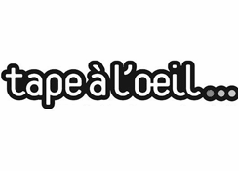 TAPE À L'OEIL produces clothes of the high quality which are at the same time very fashionable and reasonably priced. TAPE À L'OEIL makes you smile ans shows what the real pleasure is. 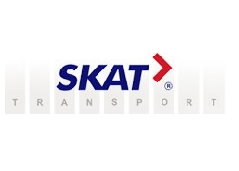 SKAT is one of the biggest logistic companies in Poland. It provides complex services connected with transport and logistics. Zakupy.com is a sales platform that provides services for different companies (loyalty and motivation programs, IT solutions etc.). It also runs its own online shops. 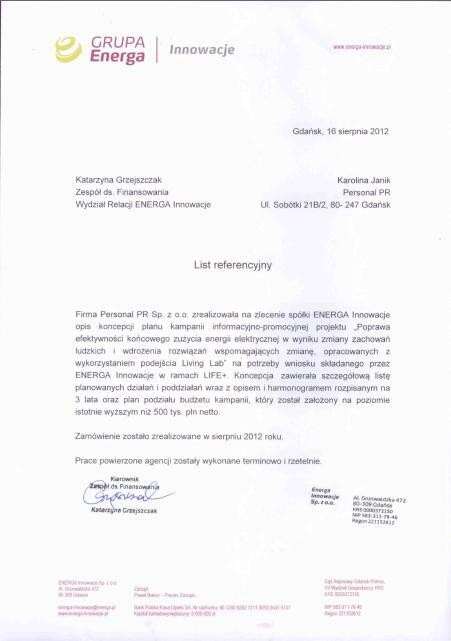 "Thanks to the cooperation with Personal PR, the company Zakupy. com is present in the media all the time. 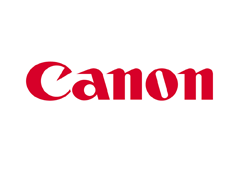 The company has gained a stable positive image. Personal PR team has shown what promptness and real engagement mean. I recommend this agency. 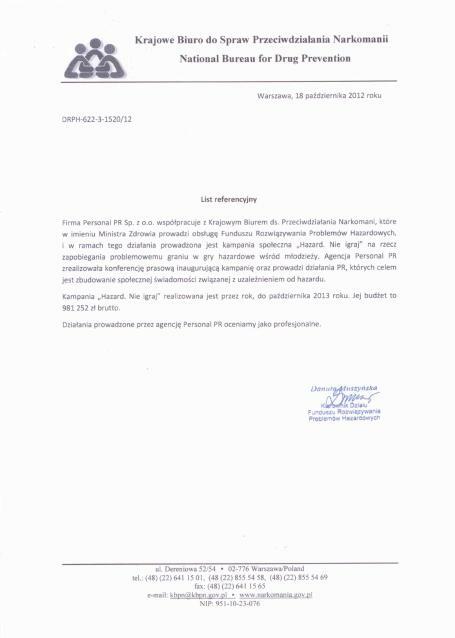 It is a reliable and professional partner in business" said Jarosław Kownacki, President of the Management Board in Zakupy. com. Złote Wyprzedaże (Golden Sales) is an internet service that offers stylish brand clothes and accessories on discount - event 70% cheaper than the original price. 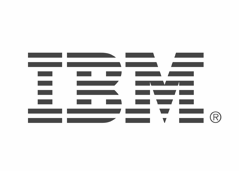 IBM is the world leader in creating, developing and producing the most advanced IT technologies including computer systems, softwares, mass memories and mikroelectronic solutions. 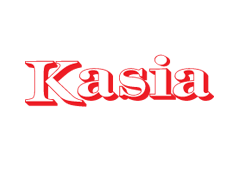 Kasia is the most well-known margarine in Poland that is used as shortening. Customers appreciate it mainly because of its "reliability". Even if you are not the best cook, Kasia makes your cake be delicious. 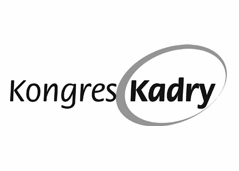 Kongres Kadry is more than 60 endorsements including plener sessions, case studies of the biggest Polish and foreign companies, expert panels, vip workshops or coaching sessions. The eighteenth edition of the event took place in 2013. 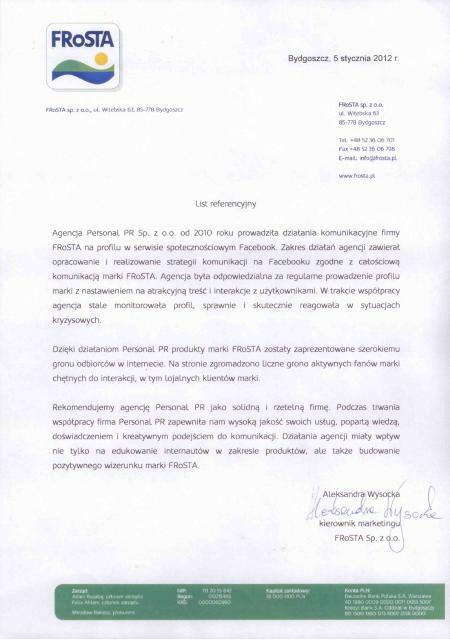 Nowoczesna Firma (Modern Company) is a medium for business and a treasury of knowledge about modern management methods. It inspires managers to develop their companies and professionalize their activities. It also provides information about the newest trends, products and management practices. Modern Company acts at many levels. It runs the service www.nf.pl, multimedia television kadry.pl, publisher offices and organizes seminars and congresses in Poland. PlaceKnow.com is the global tourist service that gathers all travel lovers in one place. It also shares tools used to hotels and cities promotion. 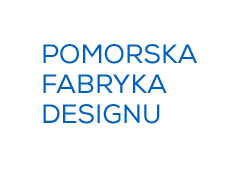 Pomorska Fabryka Designu (Pomeranian Design Factory) is the innovative project of Poviat Job Agency in Gdańsk and Gdańsk Enterprise Foundation. It combines creativity with enterprise to support people over 50 who are at high risk of unemployment. 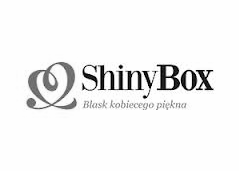 ShinyBox is a box full of carefully chosen cosmetics of very high quality. Each month you can order a new limited set of cosmetics for just 49 zlotys. 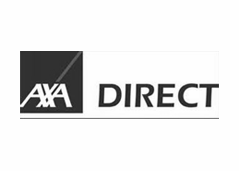 AXA DIRECT belongs to one of the biggest finance companies in the world. The company realizes its own Internet and mobile projects and provides IT services connected with creating sales platform for the companies from a tourist sector. UPS was founded in 1907 in the United States. From the company that distributed parcels it has become the global concern worth bilions of dollars. 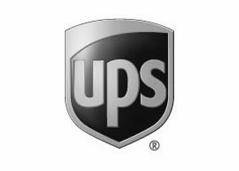 UPS is the biggest transport company in the world and the leader in specialist logistic and transport services. 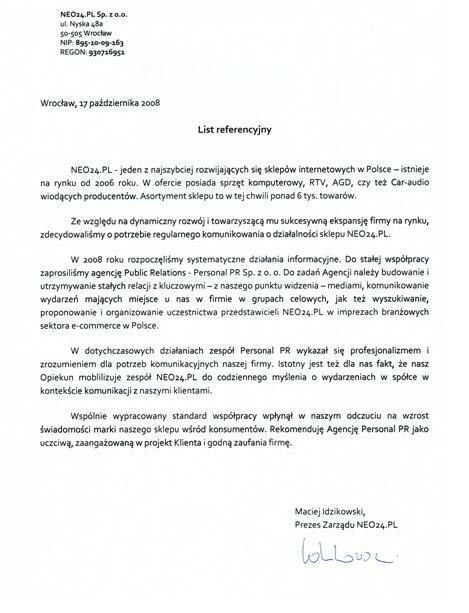 The service "Stacja z paczką" (Station with a parcel) lets individual clients and companies send and collect parcels with a mass to 25 kilos in the chosen ORLEN stations in the area of Poland. There are more than 650 stations and the service has already worked in West Europe. Children University UNIKIDS is fun connected with study. The programme is dedicated to children from 6 to 13 years old who want to find answers to many intriguing questions, for exmaple What does the universe look like?, the questions to which adults do not know the answers or just do not have time to answer. 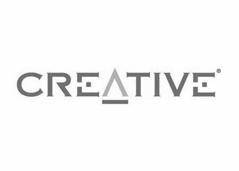 Creative Technology Ltd. is a Singapore-based global computer company which provides services connected with the design, manufacture and distribution of digitized sound and video boards, computers and related multimedia, and personal digital entertainment products. 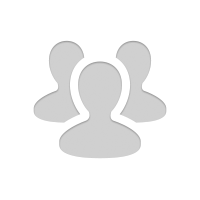 Firmy.net is a trade catalogue that promotes companies in the Internet. The priority is increasing a group of clients who search for companies and their products in the Internet. The scope of the service is growing all the time thanks to positioning and advertising and PR activities. The company is becoming the leader among other promotion services available online. 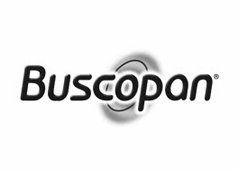 For millions of people all over the world Buscopan® is the medicine that they always take in case of a stomach ache or discomfort caused by stomach cramps. Thanks to the unique well-tried formula Buscopan® loosens the muscles of alimentary canal and removes the cause of pain. PIKA Sp. z o.o. is a leader in the market of information and knowledge management on the basis of database technology. It offers a wide range of services - from traditional documents archiving, automatization of business processes (digitalization of documents), professional consulting and audit of information flow in the company to the implementation of the information circulation system. 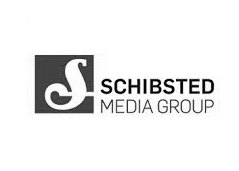 Media Relations in the Internet and traditional media, brand PR, media trainings, strategic consulting in PR, media service during the 20th anniversary of the company. The office is open from 8.00 to 16. Given email addresses are intended to be used solely for information purposes. In any other case please use cooperation form.